LikeBody Blog | Like Your Body! Do Probiotics Provide Weight Loss Benefits? What are the weight loss benefits of probiotics? Are there any? How do they affect your health? Should you be taking probiotics if you want to burn through more fat? These are very common questions, particularly as science learns more about the importance of the human microbiome. 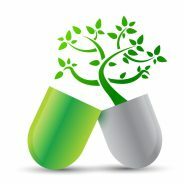 Probiotics have been found to provide several health benefits. They begin with digestive health and the immune system, but they are believed to expand far beyond those points. 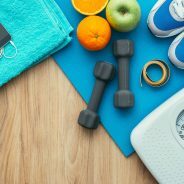 Some research is starting to be conducted on the weight loss benefits it may potentially provide, as well. Keep in mind that not all probiotics are the same. Different bacteria strains perform different functions in the body. Still, if you’re curious about health and weight loss benefits of probiotics, consider the following. Early studies suggest that the right probiotics may be helpful in supporting your healthy efforts to lose weight. Lactobacillus strains of bacteria have been most frequently found helpful in this area. The best sources are in foods such as kefir, yogurt (plain, not flavored), and miso. They help you to feel full for a longer period of time and may help the digestive system encourage less fat storage and more calorie burning. Aside from weight loss benefits, probiotics may also help your digestive system operate more efficiently. This can help to prevent a number of types of digestive struggles. That said, by supporting a healthy digestive system, it may also help you to get more nutrition out of the good foods you’re eating. Studies are also suggesting that a good portion of the immune system is based in the digestive tract. The microbiome there can play a critical role in your ability to prevent getting sick and to speed your recovery when you do. A Harvard Health report showed that the right types of probiotics can help you to avoid a spectrum of different urinary/genital health issues, including bacterial vaginosis. Some also indicate that bladder and urinary tract infections, as well as yeast infections can be avoided with certain probiotics. Does this mean you should run out and get some probiotics and start using them? Not necessarily. Speak with your doctor about the type that would be most likely to support your unique health needs. Moreover, research the products you do consider, to be sure you’re choosing the right strain and that you’re getting enough of them to make a difference. Tequila Mexico is a real place and, for reasons you might not expect, it is officially known as a magical town. That’s right, the Mexican Secretariat of Tourism has labeled this location as a Pueblo Mágico, which really does mean “Magic Town”. While the popularity of the town has long been linked to the drink that boasts the same name, the history behind the location is becoming increasingly important to modern travelers. Tequila Mexico is found within the state of Jalisco, which is located in the central part of the country. Though it is now most associated with tequila, the drink, it was actually in existence well before the beverage was even invented. To get to Tequila Mexico, most people will first head to Guadalajara, the second largest city in the country. While that may not be your ultimate destination, if this is your one chance to see the city, it’s a good idea to take it. From there, it’s easy to hop onto a train called the Jose Cuervo Express. This is not your typical railway express. Instead, it’s a vintage style train in black and gold that runs exclusively on weekends and will provide you with an astoundingly scenic journey. In fact, you’ll be viewing areas where cowboys still ride – on horseback, no doubt – and where agave is hand chopped. 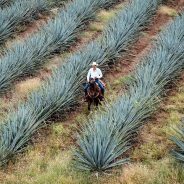 If you don’t know much about agave, you’re sure to learn a lot more about it in Tequila Mexico. The train ride, itself, features a master tequilier who will teach you all the ins and outs of the spirit. This includes facts about its history, how it is made, which types are appropriate for sipping and which forms are appropriate for drinks like margaritas. You’ll even find out how to tell a good one from a cheap one that has been sweetened with sugar such as corn syrup. Once you arrive in Tequila Mexico, armed with all that information, there are many places you can go to try out various types of the drink, served by a master tequilier, of course. Take your time and experience this magic town, staying overnight in one of its many hotels. The next day, you’ll be all set to head off and spend some time in another part of the country. A luxury villa rental in the nearby state of Nayarit will give you a gorgeous experience, away from the typical tourist centers. Understanding the real weight loss facts can help to save us from a lot of struggles along the way. Unfortunately, it’s tough to find those facts among all the diets with all their fantastic promises. Interestingly, it’s now believed that the concept of dieting, itself, is flawed. If we want to get right to the weight loss facts and find the best way to achieve long-term results, short-term dieting is not the solution. After all, it doesn’t make sense that a few temporary changes would mean we can be forever slim. If we return to old habits, we’ll grow back our old body, too. It’s easy to say that diets don’t work. However, if we’re supposed to look for the weight loss facts, then what are they if not a diet? Research has shown that diet plays the largest role in our ability to lose weight. If that’s the case, why is dieting bad? The scientific findings aren’t meant to confuse the weight loss facts. Instead, they’re meant to underscore the concept that crash diets and fad dieting is pretty much the worst thing you can do for yourself. If you have a temporary mindset, your results will be temporary, too. Moreover, once you regain the weight (and the odds say you will) your health risks will be worse than they were to begin with. Yo-yoing weight can be very detrimental to your risk of many health conditions, including those that threaten your life. Here’s how to face the weight loss facts as has been shown by decades of research. You’ll never reach your weight goal and maintain it for life if your plan is to cut out foods or food groups. If you plan to count calories, carbs, fats or pretty much anything else, you are going to struggle to keep up your results over the long term. Very few of us want to count calories for the next half century or more. The key is to focus on your wellness and to understand how your lifestyle – including your diet – plays a role in that. Living for your wellness means that you can eat whatever you want, but understand what it’s doing to your body and make your choices appropriately. Make an effort to continually pay attention to and learn about your food and what it contains. Understand what a balanced plate looks like. Then, look away from your plate to the rest of your life. Exercise regularly. Be active overall. Walk whenever you can (it’s easier than you think). Make a priority of your sleep and mental health. All these factors work together for a healthy weight. Recent data from the United Nations’ World Health Organization (W.H.O.) 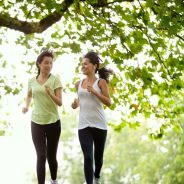 has indicated that around 1.4 billion people worldwide aren’t exercising enough. A new report from that organization has indicated that this is a major contributor to widespread cardiovascular disease among other health problems worldwide. The research looked into the trend of not exercising enough among countries around the world. It represents the first global research to estimate worldwide activity trends over time. The report based on their research was published in The Lancet journal. The exception to the available data across countries was primarily centered in Caribbean and Latin American countries. Almost half the nations throughout those regions did not have any data regarding their populations’ activity levels. The number of people who don’t exercise enough is roughly proportional to the number of people who develop preventable chronic illness. The W.H.O. has, therefore, stated that it is very worrying that people are not moving around enough for their health. It also means that as the trend of not exercising enough continues, so will the global instance of chronic illness. As people get sicker, the demand on health care systems will grow. It will strain resources and become considerably more costly than it already is. Make Sure You’re Exercising Enough! The development of national programs to encourage people to exercise enough are slow. That said, as individuals, we can start to move around. Even fifteen minutes per day of solid moderate to intense exercise can help to improve your health. It will also reduce your current and future risk of chronic illnesses. Doing so in groups or as a family will only help to spread a healthier trend. At the same time, it will help you to feel better, build your confidence, and look more healthful. You don’t need to wait for programs to be put in place in order to move around. Commit to a daily walk and get up at least once per hour and walk around a little or even jog in place! 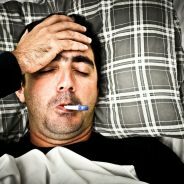 Have a hard time with energy levels? Try a weight loss supplements that boost energy to help you get up and moving. I’ve come up with a list of my top running tips to share with you this year. I felt I had to do it because this was such a great year for it. Sure, there are still months to go, but I feel like the majority of the running season has already been enjoyed. 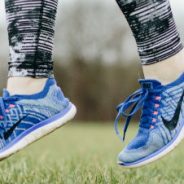 I’ve been thinking up this list of top running tips since I started getting out there again instead of keeping to my treadmill the majority of the time. During the hot weather, I was out there first thing in the morning before the temperature really had the chance to climb. What a great way to start the day! So here they are. Before you roll your eyes, know that just looking out the window isn’t enough to know what will happen while you’re out there. I can’t tell you how many times I’ve left when the weather seemed beautiful, only to reach the halfway point and hear thunder rumbling. Then, the last quarter of my run is through a torrential downpour! I have a fitness tracker, and I use it. I watch my steps, speed, heart rate, distance – the whole shebang. That said, I use that to track my progress over time, not each individual performance. There are days when I perform great and others when I’m not at my best. There are a lot of reasons for these different levels in performance, but I don’t let them hurt my confidence. Instead, I just make sure I’m putting in the same effort every day, regardless of the results. Then, I use my tracking data to tell me how I did as a whole throughout the week/month/season. Top Running Tips 3: Eat Right! Half of my running results are from training. The other half are from what I eat and drink. I pay close attention to my strategy for fueling my body. I use my tracking data and just the way my body feels as a whole. That way, I know what works for my body. I know what leaves me feeling pumped and energized, what leaves me hungry or what bogs me down. As I find something new that works for me, I stick with it. Running is hard! Sometimes, it’s very hard. Get to know how to enjoy the challenge. Learn how to motivate yourself to keep going. Make a process of taking care of yourself after a run with the right muscle therapies. Use a foam roller. Eat a post-workout snack. Love the process of reaching your best level every time and gradually get better. Don’t expect it to be easy. Where’s the reward in that? Instead, love the fact that it’s hard and keep going anyway! Radio personality Sean Anderson stopped eating refined sugar and lost 300 pounds as a result. The divorced father of two grown daughters and grandfather of four kids had been yo-yo dieting for much of his life, having reached 505 pounds at his heaviest. It wasn’t until he stopped eating refined sugar that he dropped all the excess weight and managed to keep it off. Anderson recognized that his sugar consumption was an addiction and began treating refined sugar like a drug. Anderson was 36 years old when he decided it was time to do something about his weight, which had reached that top level of 505 pounds. His health was greatly suffering from his obesity. He had swollen legs, his blood pressure was spiking, and he struggled to breathe. Even with the sedentary job of radio personality, he was missing work for health reasons. “If you leave this office and drop dead while walking across the parking lot to your vehicle, none of us would be the least bit surprised,” his doctor told him in June 2008 while describing what was happening to him as a result of his high blood pressure. That was the moment he decided to change. Unfortunately, the drive to keep it up lasted three days. The problem was that Anderson coped with stress by eating refined sugar and lots of it. He ate emotionally. After a stressful day at work, he would eat half a gallon of ice cream… which he did on that third day. September 15, 2008, Anderson launched a blog. This was how he kept himself accountable for his eating decisions. Every night, he used the blog as a journal to record his experiences and the way he felt. He gave himself a 1,500-calorie budget that did not allow him to “borrow” from the next day. He has since said that he feels that budget was low and that he should have aimed for 1,900 calories per day, instead. At that time, he allowed himself to eat anything as long as he didn’t exceed his calories. This taught him that by making better eating choices, his calories could go a lot further. He could enjoy his meals – and be satisfied by them – by skipping fast food and candy. Unfortunately, even with this, the weight returned. It wasn’t until May 14, 2015, that he recognized that refined sugar, the food to which he acknowledged an addiction. 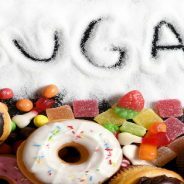 He stopped eating refined sugar, treating it the same way he would treat an alcohol or drug addiction. The weight started coming off. The weight has stayed off because he has not “fallen off the wagon. Sometimes it’s not that difficult to love your body. At other times, it can feel as though you and your shape are at war with each other and will never be friends. It’s easy to look back at photos of yourself and struggle with who you see. Maybe you were much thinner than you are now. Maybe you were heavier. Just looking through the clothes in your closet – the ones you wish looked better than they did – can make it feel tough to love your body. It’s time to stop being so hard on yourself. This doesn’t mean that you need to think you’re perfect. If that was the case, we’d never make any efforts to improve. Improvement is important because it helps us live healthier lives. Loving your body means having respect for yourself. It requires you to feel worthy and appreciated by yourself. No matter your weight, size or shape, being able to love your body is key to achieving your goals. Among these goals are to look great, feel great and be healthy. • Don’t blame your body for your struggles in life. Choose to appreciate your body as a partner along your journey. If you don’t feel fit enough, blame won’t help anything. Choose to work with and love your body to make things better. • Don’t let other people decide how you feel about yourself. One look or comment from someone else should never have that kind of power. Love your body regardless of whether or not someone else decides to pass judgment. • Stop blaming others for stopping you from having the body you think you’re supposed to have. You live in the best body for yourself. Let it guide and teach you to appreciate who you truly are. Treat it with respect through nutrition, activity, sleep and yoga or meditation and it will show you new ways to experience your world. • Stop defining yourself by your bathroom scale reading. That number measures one thing and one thing only, how much all the organs, bones, tissues, fluids and other substances in your body weigh when they’re all put together. This is not a measure of how good you are as a person. Learn to measure yourself using methods far more valuable than a bathroom scale reading. • Stop being hard on yourself when you can’t do something. Instead, be proud of what you can do and never stop setting goals for new achievements into the future. It feels like everywhere I look, people are drinking Bulletproof coffee for weight loss. My social media is filled with comments, memes and pictures from people who have fallen in love with it. It’s definitely different. It’s certainly new. What I wanted to know is if it was worth the hype. Everybody claims that Bulletproof coffee for weight loss is the best way to start the day. I wanted to get on board with it, but it went against everything I’d previously believed about losing weight. 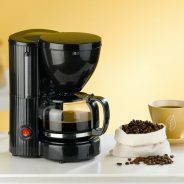 After all, I’ve always felt that a morning cup of coffee was fine as long as I drink it black. This asked me to do the opposite of that. What Goes in Bulletproof Coffee for Weight Loss? Believe it or not, if you drink Bulletproof coffee for weight loss the way it recommends on the label, you’re drinking coffee, butter and oil. A lot of it. My Bulletproof coffee for weight loss contained 484 calories per mug – and that was before I got started on breakfast! It was hard for me to swallow – so to speak – but there has been so much great press I had to give it a try. What is Bulletproof Coffee for Weight Loss Like? The package tells you to ease your way into adding the oil and butter. It recommends starting with a teaspoon of Brain Octane on your first day. Over the days that follow, keep adding to the amount of Brain Octane as you become accustomed to it until you reach the full two tablespoons. I highly recommend following this advice. It also recommends easing into the butter. Ditto. I ground my beans, used my French press and added my wealth of calorie-packed ingredients. I watched the coffee whirr in my blender and got ready for the most high-effort coffee I’ve ever made. Still, Bulletproof coffee for weight loss would be worth the effort. Plus, I have to say, it looked like a beautiful latte, and it smelled phenomenal. Sipping it was not what I was expecting. The taste was decent but even at the lowest dose, that was a very oily, buttery coffee. My lips felt like I was applying a balm every time I sipped. Moreover, because I didn’t sip it all right away – it takes me about an hour to drink my coffee – it had time to settle…and separate. Drinking coffee through a layer of melted butter and oil was not my favorite experience. Do I Love Bulletproof Coffee for Weight Loss? It’s grown on me, believe it or not. I’ve discovered a way to drink it that I enjoy. I’ll likely buy it again when I’m done. The coffee itself is delicious. I like it with one tablespoon of the Brain Octane and about a half teaspoon of butter. Beyond that is just too oily for my taste. But at that balance, I love it. I feel energized, positive and ready to attack my day. Did I lose more weight than I did without it? Nope. I stayed the same. I was impressed that despite all those calories, I didn’t gain weight! I wouldn’t say that Bulletproof coffee for weight loss on its own is a miracle. That said, I would agree that it’s energizing and tasty when you find the balance that is right for you. Knowing how to lose weight when you’re short is a different experience than it is for your taller counterparts. While five pounds may not seem like much at all when you’re an average height or more, if you shop in the petite section, it can feel like a crisis. When you’re 5 foot 2 inches, it takes less weight to make a visible change on your body. What’s worse is that trying to lose weight when you’re short can be more of a struggle. That same 5 pounds that makes a huge difference to your body can also be a pain in the backside to lose. Why? Blame your metabolism. The average woman has a basal metabolic rate (BMR) of about 1,400 calories per day. That means that if the average woman does absolutely nothing all day long, her body will need 1,400 calories to function. This can come from food or stored body fat. However, it’s not uncommon for women closer to 5 feet tall to have a BMR of 1,200 calories per 24 hours. That can make a big difference to your ability to lose weight and to your risk of gaining. Does that mean you’re doomed to be overweight? Of course not. But you will need to know a strategy meant to help you to lose weight when you’re short. If you’re sitting next to someone who is 5 foot 10 and you’re 5 foot 2, you shouldn’t have the same portion sizes on your plate. You might want to eat the same size meal as your tall friend but you’ll face consequences if you do. Instead, scale back your calories to a number appropriate for being able to lose weight when you’re short. If you find that you’re hungry after cutting back your calories, eat more snacks. Just make sure they’re smart snacks when you want to lose weight when you’re short. This should include foods that are high in fiber and water, sometimes with added protein, too. That way you’ll feel fuller without adding to many calories at the same time. Start lifting weights and strength training a couple of times per week. The more lean muscle you have on your body, the faster your metabolism will run. This can make a powerful difference to your ability to burn calories and fat. Pay close attention to your vitamin and mineral intake. As you need to eat fewer calories than a taller person, it can be more challenging to balance your diet. Use a nutrition tracker to help you to make certain you’re getting the nutrients you need even within your calorie limit. One of the best ways to make sure I’m consistently sticking to a healthy diet is with rewards. Yes, it’s true that nutritious meals are a reward unto themselves. However, when I’m faced with a choice between a tasty nutrient dense meal and one drowning in cheese, it can be a struggle. I do love a lot of cheese! Therefore, when it comes to making sure I’ll make the right choices, I make rewards something other than food. I can’t in all good conscience reward myself for eating a huge spinach salad by having a bag of chips! The solution is to stop thinking of food as a reward. Food is food. It tastes great and the right choices make for a healthy body, too. Rewards need to come from elsewhere. • Buying a new workout outfit – There are few things that can motivate me to do a workout faster than getting myself a new outfit. Even if it’s the same yoga top I already wear but in a new color, the novelty makes me want to use it. • Getting a new pair of running shoes – For the exact same reason as a new outfit, new running shoes will do the same thing. What I like about shoes is that they can help to improve my performance, too. • Getting a massage – I absolutely love a good massage. What a fantastic reward for being good at meal time! Even better, when I get a massage, it works out all my muscle aches and pains and it helps me sleep better at night. When it comes to sticking to a healthy diet a massage is a great reward and it makes dieting easier, too. Some rewards are great because they help push you to meet your goals. Consider these ones to excite you enough to keep going. • Check out a new movie – Head to the local theater and catch that movie you’ve been waiting to see. Make it your reward for sticking to our weight loss strategy. Just go easy on the popcorn or you’ll work against yourself. • Get a mani/pedi – Pampering yourself with a manicure and/or a pedicure is a fantastic way to celebrate the good you’re doing for your body. Get a new hairstyle – What better way to polish off how great you look than to get a fresh haircut. You’ll feel like a whole new you. It’s the perfect reward for sticking to a healthy diet.